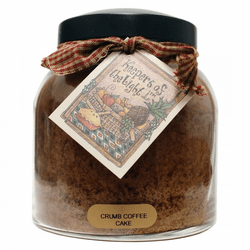 Crumb Coffee Cake fragrance consists of a warm golden coffee cake with a sweet cinnamon sugar butter crumb. 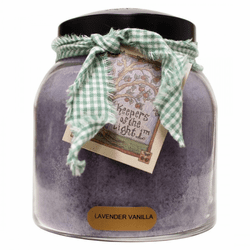 Lavender Vanilla fragrance consists of fresh cut lavender, vanilla, Italian bergamot, sage & cedar. 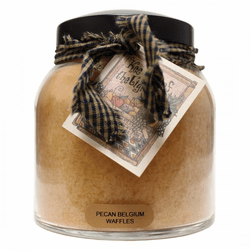 Pumpkin puree, sweet cream butter, toasted pecans, warm amber maple and spice, brown sugar and vanilla. 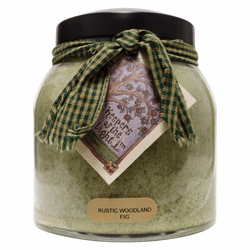 Rustic Woodland Fig fragrance consists of an enticing blend of warm figs, jasmine, sandalwood and spicy anise. 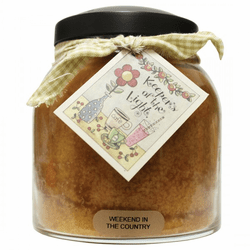 Weekend in the Country fragrance consists of memories of warm sunshine, falling leaves, cinnamon apples and clove scented pine cones. 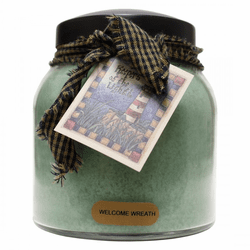 Welcome Wreath fragrance consists of noble fir, Blue Spruce and juniper berries with sweet Bosc pear, mandarin orange, tart apple and sweet musk. 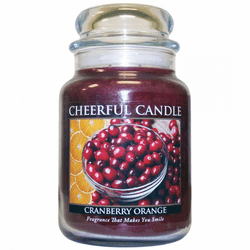 Cranberry Orange fragrance consists of cranberry, sweet orange, cinnamon & clove. 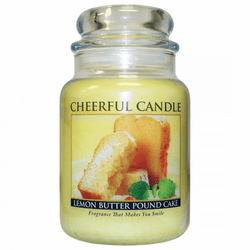 Lemon Butter Pound Cake fragrance consists of a rich, mouth watering, freshly baked lemon pound cake with spicy nutmeg and sweet vanilla. 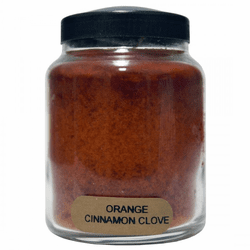 Orange Cinnamon Clove fragrance consists of cinnamon & cloves draped with a touch of orange. 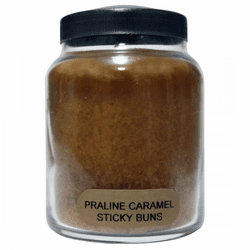 Praline Caramel Sticky Buns fragrance consists of an irresistible, baked blend of warm vanilla caramel with dark brown sugar and butter drenched pecans. 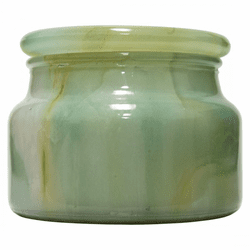 Jade soy candle fragrance consists of an oriental chypre with top notes of French jasmine, ylang-ylang, black currant and effervescent citrus. 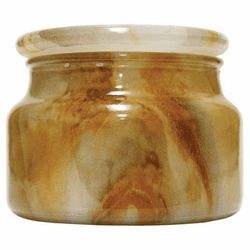 Jasper soy candle fragrance consists of Bulgarian rose, Madagascar vanilla, Sumatra nutmeg and saffrran with nuances of Nepal leather and Oud. 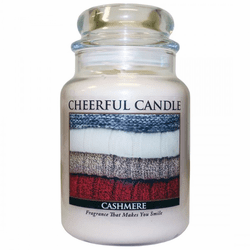 Bergamot and red berries layered in sweet vanilla, patchouli, caramel, tonka bean, and chocolate. 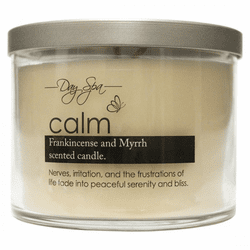 Day Spa Calm fragrance consists of frankincense and myrrh. 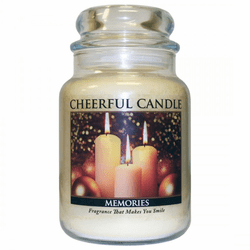 Nerves, irritation, and the frustrations of life fade into peaceful serenity and bliss. 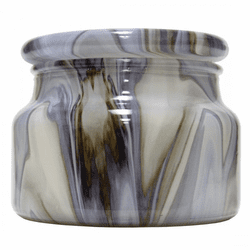 Day Spa Relax fragrance consists of lavender vanilla. 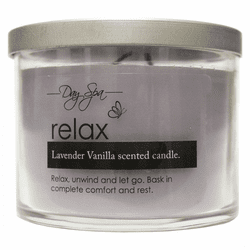 Relax, unwind and let go. 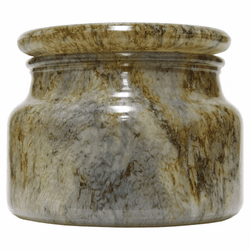 Bask in complete comfort and rest. 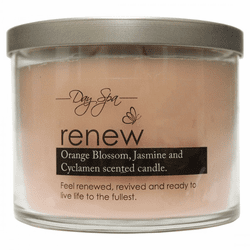 Day Spa Renew fragrance consists of orange blossom, jasmine and cyclamen. Feel renewed, revived and ready to live life to the fullest. 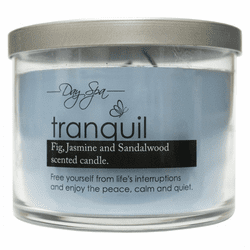 Day Spa Tranquil fragrance consists of fig, jasmine and sandalwood. Free yourself from life's interruptions and enjoy the peace, calm and quiet.